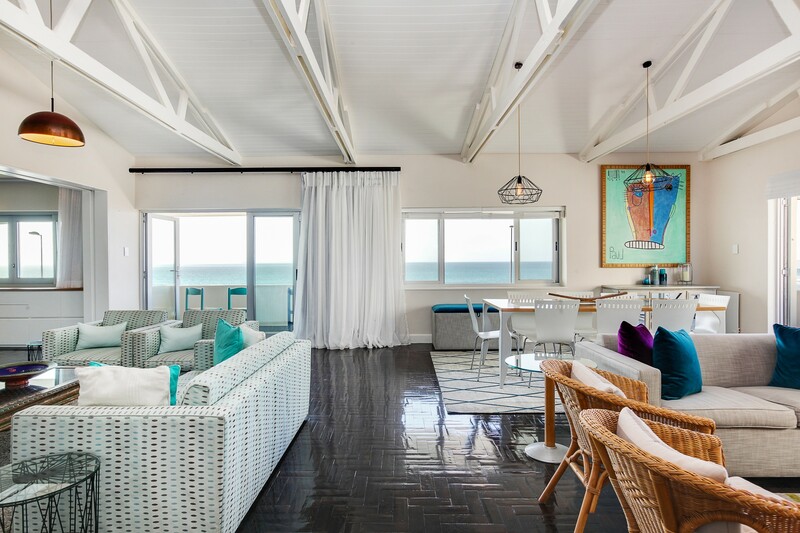 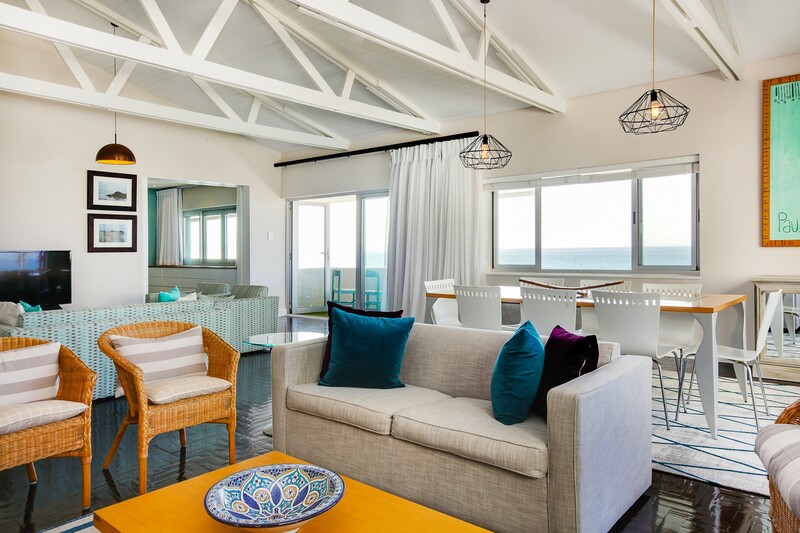 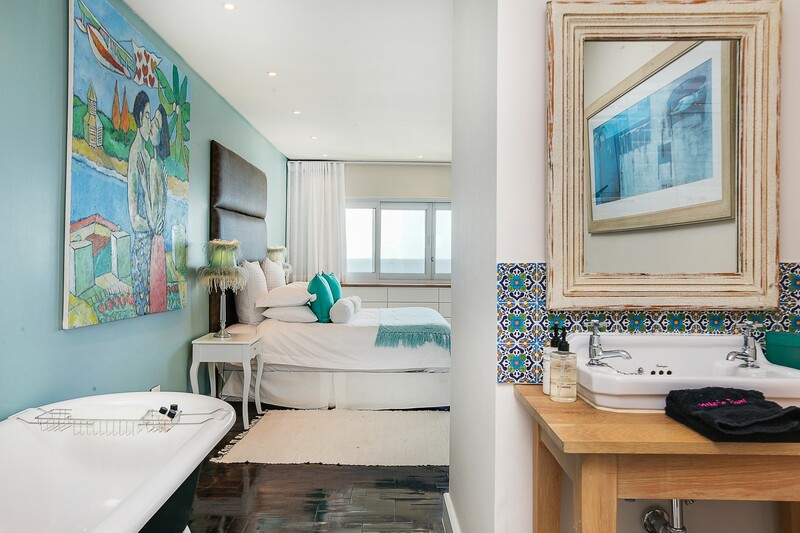 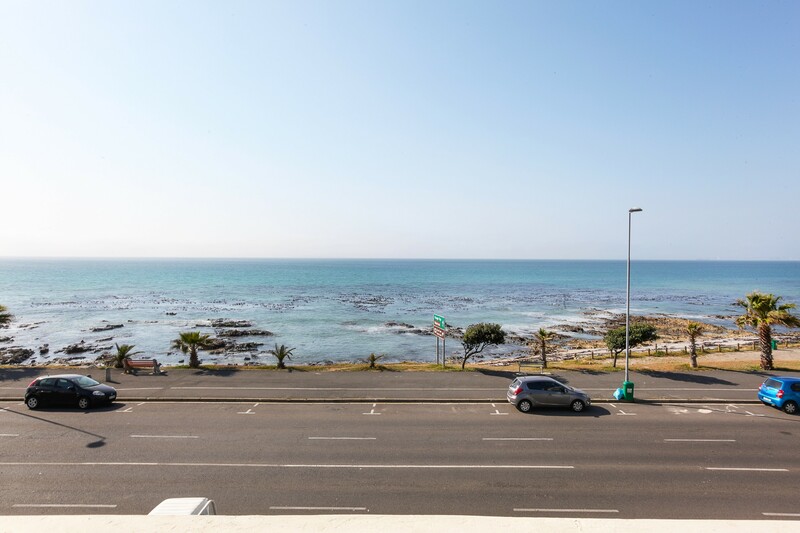 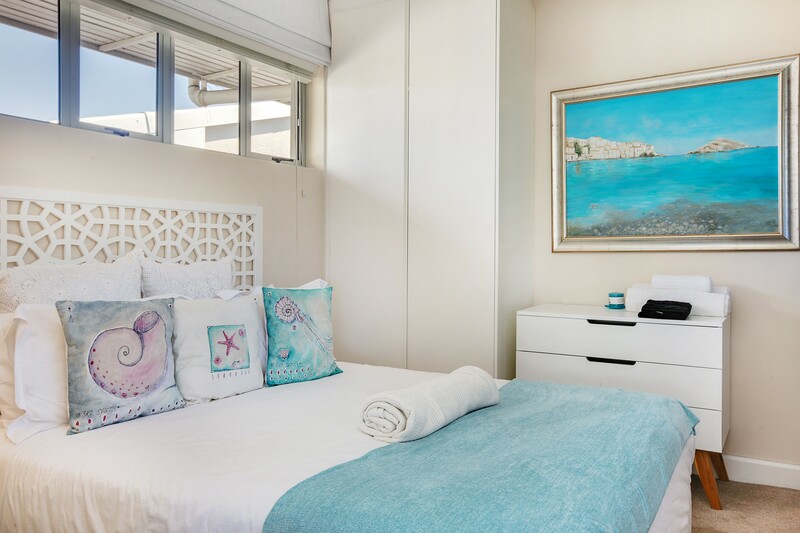 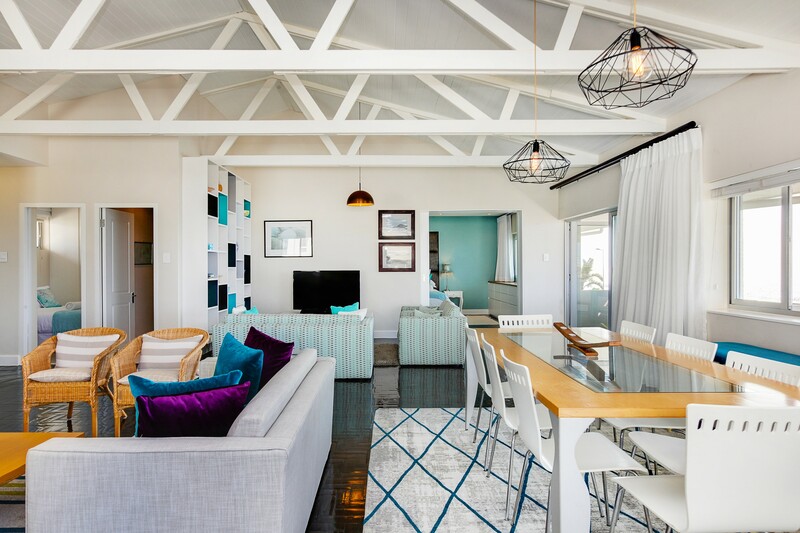 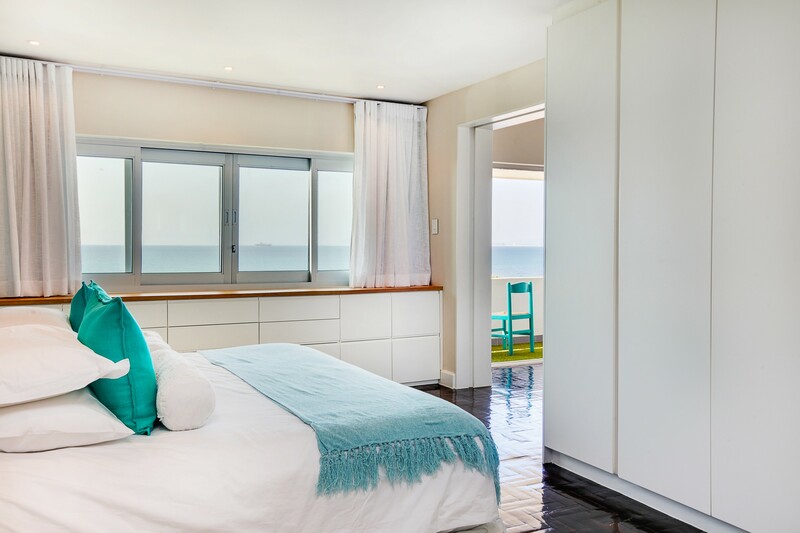 Valentine is a contemporary seafront apartment in Mouille Point that boasts spectacular views of the ocean. 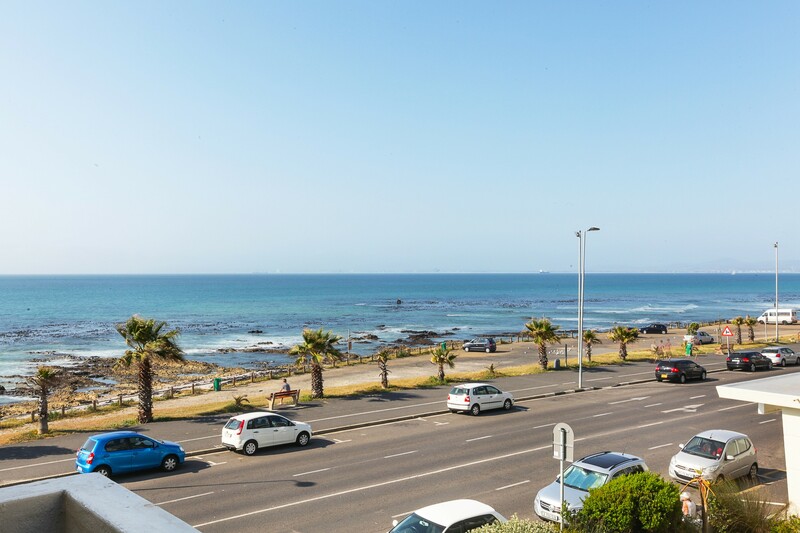 It is within walking distance of Cape Town's famous Sea Point promenade, which offers great restaurants and activities. 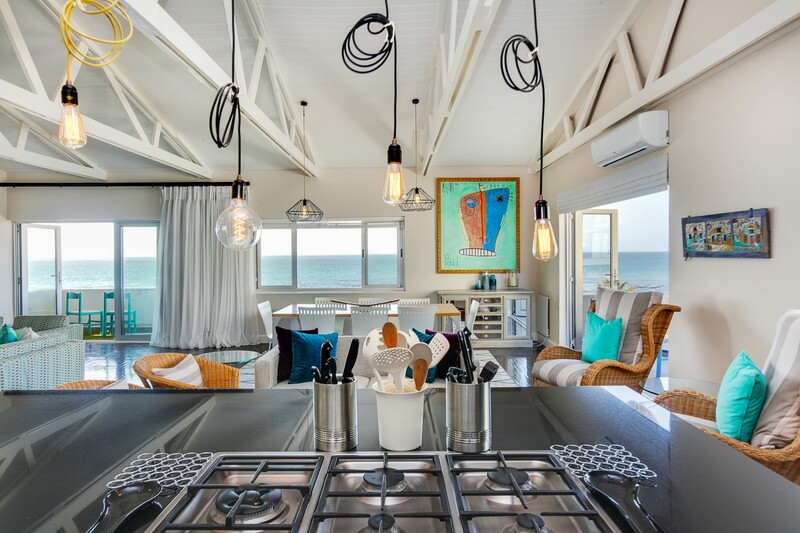 The modern open plan kitchen has all the bells and whistles and provides a great entertainment space. 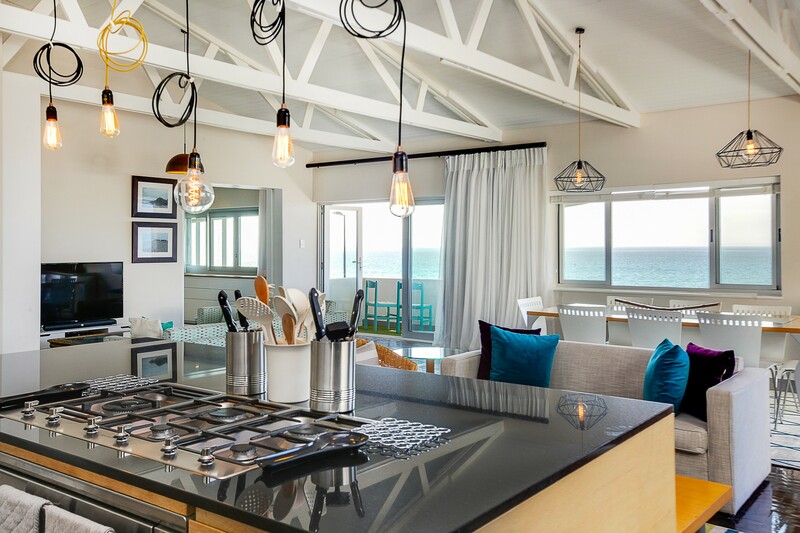 It includes a microwave, espresso machine, kettle, refrigerator, gas, a toaster, dishwasher and a washer/dryer. 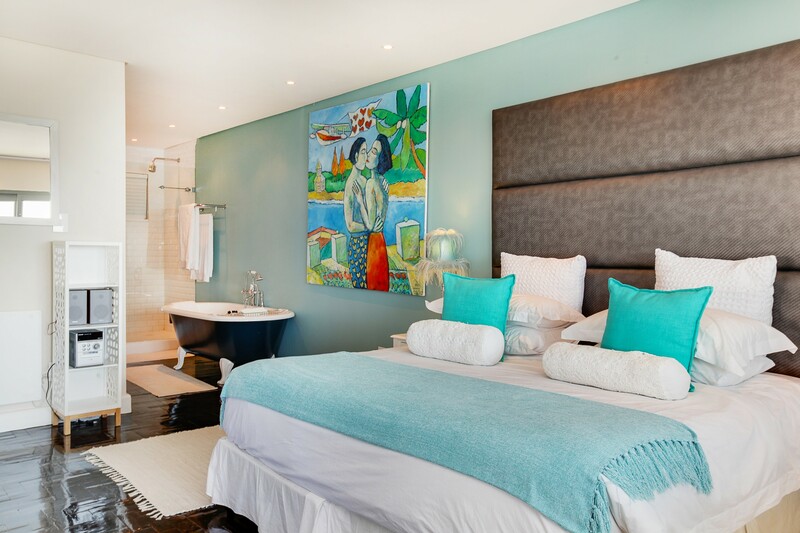 The master bedroom sports beautiful views and has an en-suite bathroom with a bath and shower. 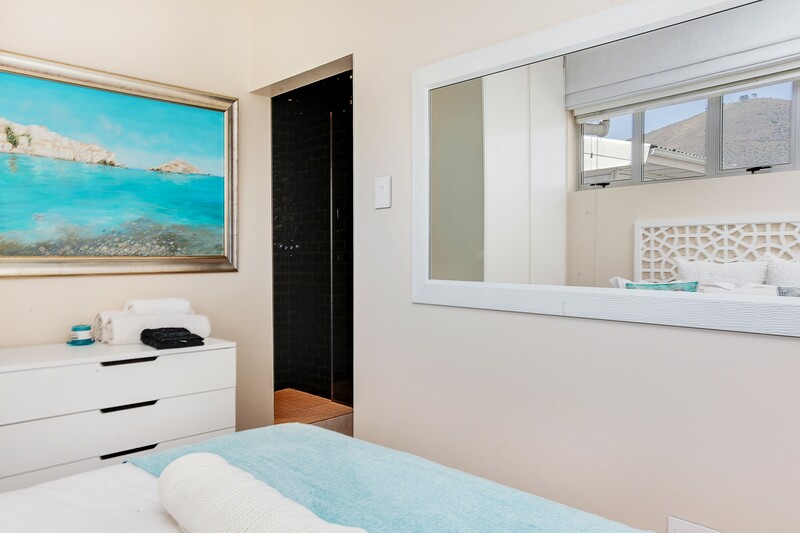 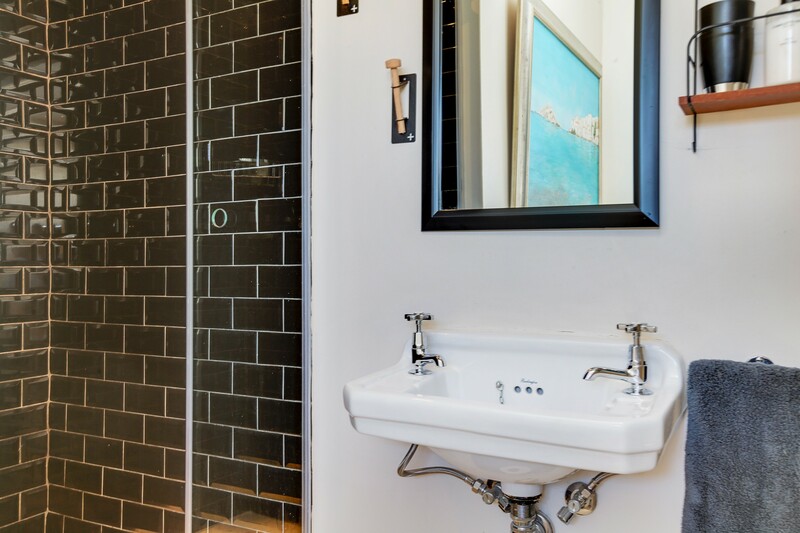 The cosy second bedroom also has an en-suite bathroom with a shower. 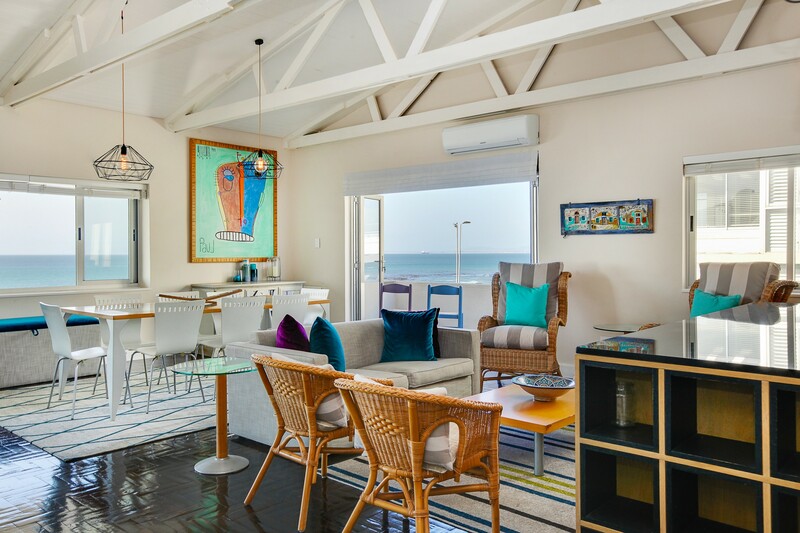 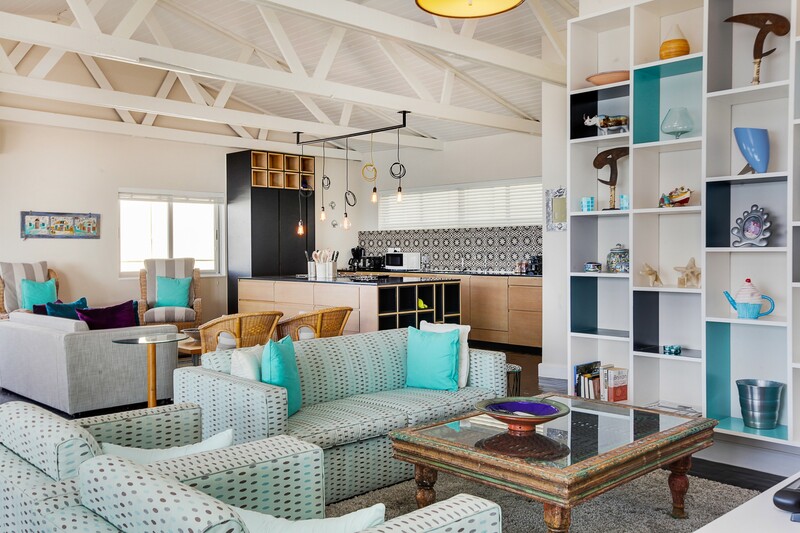 The living areas are furnished with plush and comfortable seating, has ample space for TV viewing and informal entertainment. The abode is also air conditioned.